There was a little bit of Heaven on Earth right in my kitchen today. 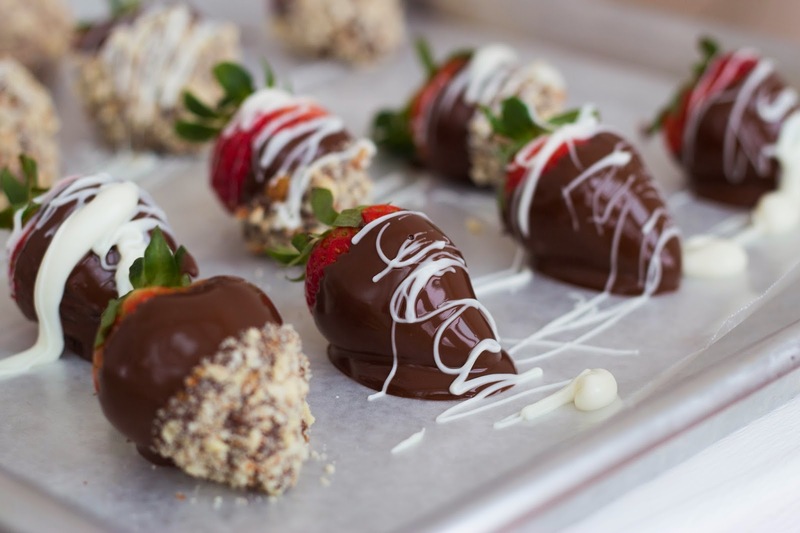 These chocolate covered strawberries hit the spot. My favorite ones were dipped in crushed almonds. Heaven on Earth guys, that's all I can say. Pour the bag of chocolate chips into a microwave safe bowl along with the shortning. Heat for 1 minute, stir, and heat for 1 more minute or until everything has melted. 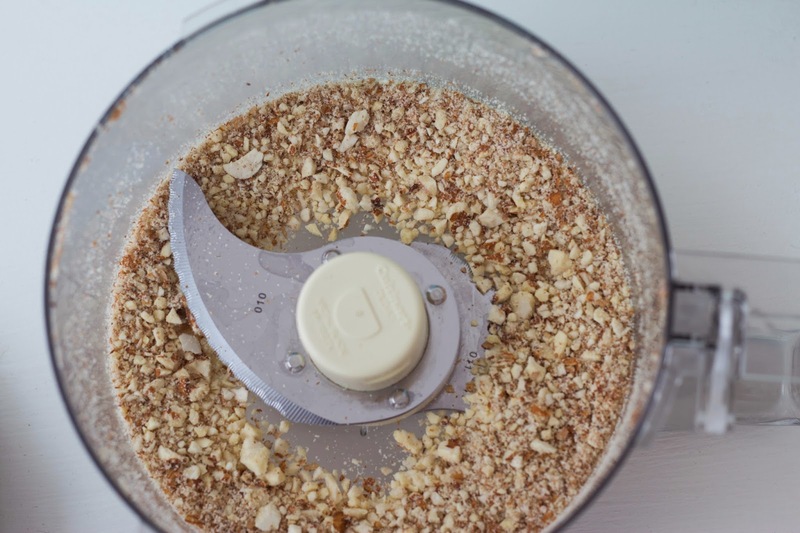 Meanwhile, chop up the almonds in your food processor. 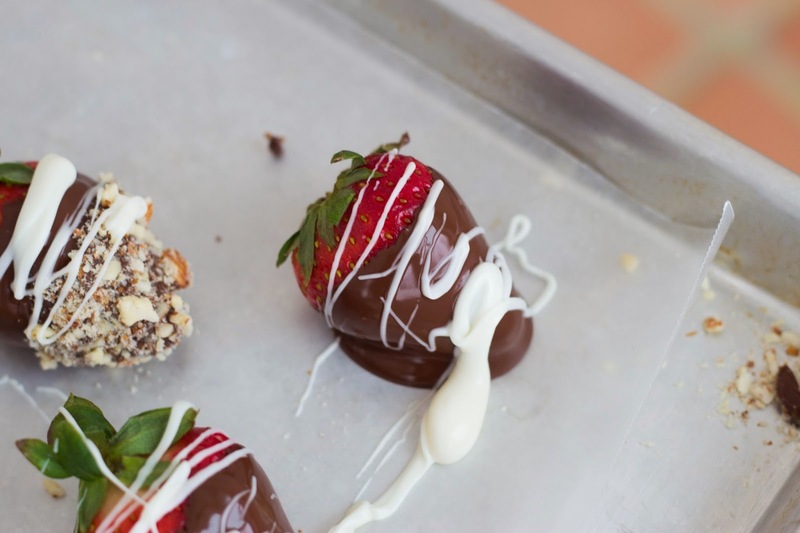 Dip the strawberries in the chocolate mixture and then in the almonds. Drizzle with melted white chocolate for a decorative look. Keep refrigerated.